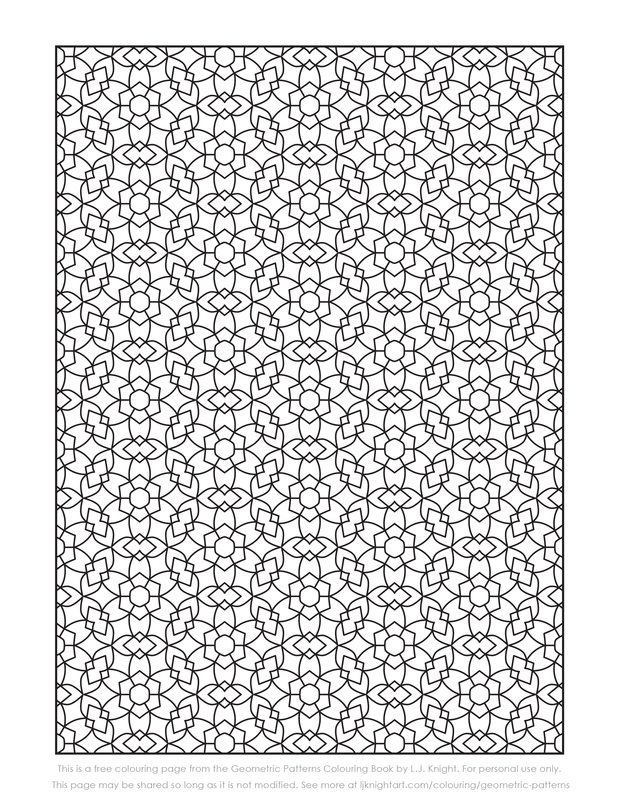 Here is a free colouring page from my first book, Geometric Patterns, which has 50 original pattern designs. This is an 8.5 x 11 inch page, and can also be printed on A4 paper. It’s free for personal use only, although you can share it so long as the text at the bottom isn’t removed. To download this free pattern page, right click here, or click the image below, and save it to your computer. You can get a free page from each of my other colouring books too – see them all here. This entry was posted in Books & Colouring, Downloads, Updates and tagged Colouring Printables, Free Colouring Pages, Patterns. I’ve created a range of colouring books for adults and children – you can see them all here, or visit my author pages at Amazon.com or Amazon.co.uk. You can also buy my full books and some individual pages as downloads from my Etsy store.